I respect that no-one understands the apocalypse better than you do. I think your escatological salves would be sated by Kazuo Umezu ‘Fourteen’. It is the story of Chicken George, the embodiment of the collective consciousness of all animals, who is born from a vat of synthetic chicken meat. He discovers that humans are descended from the T-Rex which is why we are so mean. Meanwhile all the greenery on the earth has disappeared except for the hair on the head of the son of the President of America, who is called America because of how much the President loves America. I remember you like Junji Ito/ Uzumaki. 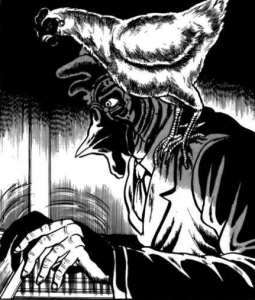 Umezu was a big influence.